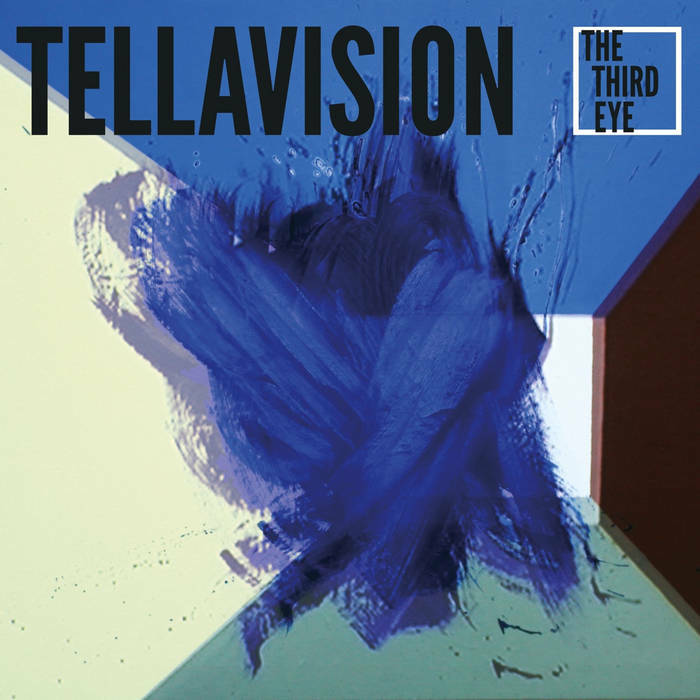 Third album by Hamburg’s TELLAVISION who calls her original aesthetic “hardware post-pop”, deconstructing borders between (anti-)pop and avant-garde, hi- and lo-art. “The Third Eye” is available as 180gr LP and download. Deeply rooted in DIY culture right from the start in 2007, TELLAVISION alias FEE R. KUERTEN delivers her third album after “Music On Canvas” (released on FEEDING TUBE RECORDS, run by SUNBURNED HAND OF THE MAN’s TED LEE) and 2014’s “Funnel Walk” which was recorded with TOBIAS LEVIN (TOCOTRONIC, MUTTER, JA, PANIK). Developed and produced during a stay at the Whitehaus, one of Boston’s self-governing cultural centers, the tracks play with TELLAVISION’s reception across different genres: too “punk” for an arty audience, too arty for the punks, KUERTEN who studied arts at Hamburg’s HFBK (attending classes a.o. by JUTTA KOETHER and FELIX KUBIN) follows her interdisciplinary approach which combines visual arts, film and music, taking in a wide range of pop-cultural references, rejecting them to finally mash them up for new positions in contemporary arts that defy conventions. Defied too the concept of the classical A / B side – instead “The Third Eye” splits into 2 sides that each carries its own name with „Ease Tikky Tab“ continuing / refining TELLAVISION’s atonal, dub-infected trademark sound while „Cryptic Snash Man“ crystallizes as an oscillating field of krauty repetition and industrial ambiances. Oppressive, dissonant soundscapes, created by a reduced set-up of analogue synthesizers, percussive elements and fragmentary field recordings that go along perfectly with KUERTEN’s elegic, soulful voice. A unique sound that the 27 year-old baptized “Hardware Post-Pop” and which situates the young artist among like-minded lofi-advocates ARIEL PINK and JOHN MAUS, the rhythmic grooves of ESG and a newer generation of female artists such as FATIMA AL QUADIRI, INGA COPELAND (whom she recently supported), GAZELLE TWIN or KLARA LEWIS on the other hand.